Do you know a local teacher that deserves an A+? Well, this is your chance to reward your favorite Bucks County teacher for their dedication to education. Nominations are currently being accepted for the 2014 Teacher of the Year Award, sponsored by Bucks First Federal Credit Union. Home to several of Pennsylvania's top public school districts as well as many noteworthy private schools, Bucks County is full of committed, talented teachers- teachers passionate about their lessons, teachers who stay late to help a struggling student understand a new lesson, teachers who volunteer to oversee after-school activities. The Bucks County Teacher of the Year program was created to recognize those educators who go above and beyond to help empower youth to achieve their goals and realize their dreams. Founded in 1936, Bucks First Federal Credit Union has long supported the school districts of Bucks County and this award is an extension of that commitment to the school communities. Hurry! Time is running out. Nominations for the Teacher of the Year award are being accepted through January 17, 2014. 1. Nominate your favorite teacher at BucksTeacherAward.com by January 17, 2014. The application includes information about the nominee, information about the school, and your contact information. 2. Submit a nomination narrative (700 words or less) telling the panel why you are nominating the person for this award. The narrative should include any and all reasons and supporting information about how the nominee shows a superior commitment to teaching, and why they should be named the Bucks County Teacher of the Year. 3. Lastly, send a letter of recommendation (no more than 1 page) written by someone other than the person who is submitting the nomination, such as a school Principal; department head; or even a fellow teacher. This letter should explain what the nominee does that qualifies him or her to be named the Bucks County Teacher of the Year. Through a judging and voting process, nominations will be narrowed down to the top three finalists, who will all be invited to the Credit Union’s annual meeting on Thursday March 6, 2014. There, the winner will be announced! 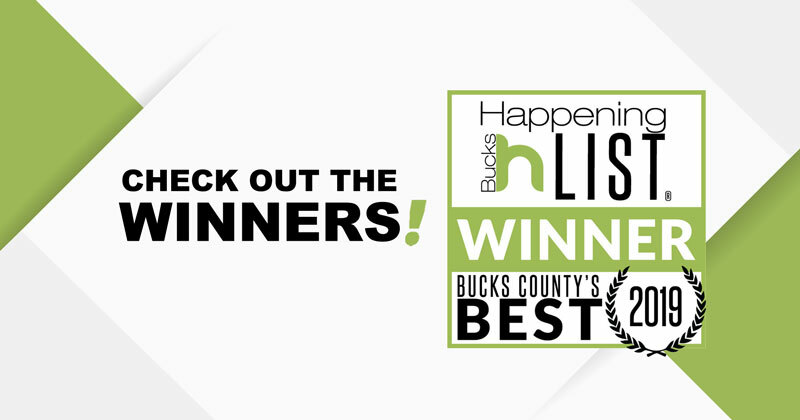 Bucks County's Teacher of the Year will win a $1,000 cash prize and an award plaque! Their deserving school will also receive a $1,000 cash donation. The two runner-ups won't go home empty handed either; they will each receive a $200 VISA gift card. To be eligible for nomination, teachers must be a current employee of a Bucks County school, be a PA certified teacher or a teacher who has obtained a private academic school certification in a Bucks County public school or non-public school, teaching grades K-12. All nominated teachers must have direct contact with students in a classroom setting. This would include individuals in the following position(s): classroom teachers, subject teachers, certified teaching professionals or classroom instructors. Classroom instructors could include reading specialists, speech therapists, subject specialists, learning support teachers or librarians. The teachers should show a superior commitment to teaching; have a great impact on students, the school and the community; and go above and beyond the normal duties of being a teacher. Find all of the details about the selection criteria and judging process on their website. County Intermediate Unit #22 named teacher Thomas Delaney (Harry S. Truman High School) the winner of the 2012-2013 Bucks County Teacher of the Year Award. Mr. Delaney is a Life Skills teacher at Harry S. Truman High School in Bristol Township, and for 26 years has been greatly involved and dedicated to the lives of his students. In addition to working with students in the classroom setting, Thomas coaches and organizes Special Olympics track, teaches the extended school year program, holds county-wide special needs dances for the children, serves as camp counselor for life skills annual camp Shohola, volunteers as a Bucks County Challenger football coach, and serves on the executive board of directors for the Bucks County Super Kids Soap Box Derby. Mr. Delaney was nominated by Sharon DeNucci on behalf of her son Bobby DeNucci, a life skills student. Thank you to all of the dedicated teachers of Bucks County!